You are currently browsing the BestOfBothWorldsAZ.com blog archives for the day Tuesday, November 15th, 2016. 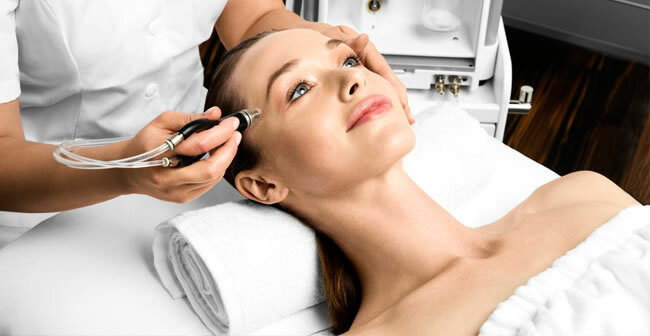 Dermalinfusion goes beyond a typical facial, microdermabrasion or even a hydrafacial, it is a comprehensive and fully customizable treatment designed to address a wide variety of skin concerns. Dermalinfusion uses medical grade diamond-tips with pneumatic pressure to gently lift and evenly exfoliate dry, dull layers of skin while simultaneously infusing condition specific serums directly into the epidermis to plump up fine lines and minimize pigmentation, while it is also extracting impurities to clarify pores. The serums are infused into the tissue using pneumatic pressure in a closed vacuum loop. 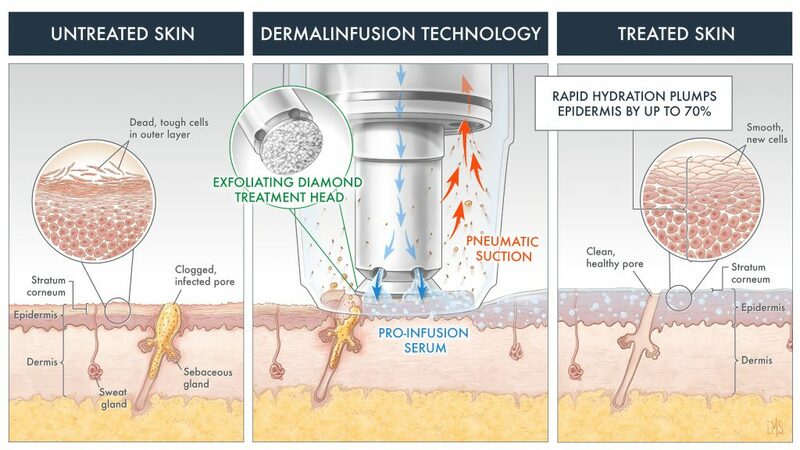 The diamond tip is recessed in the hand-piece, and the vaccume pressure brings the skin up into the hand-pieces, where it is exfoliated, while simultaneously the pores are opened, so that the serums may be infused at the base of the pores and into the surrounding epidermal tissue. This deeply hydrating treatment volumizes the epidermis up to 70% and can also be performed over lips, around eyes and on non-facial skin. Dermalinfusion Silk Peel treatments may be further enhanced by adding dermaplaning, enzyme or glycolic peel and treatment specific facial masks. A patented technology provides superior exfoliation with a wet-vacuum process that is more gentle than dry microdermabrasion. This controlled depth, technique is designed to give a uniform, even and precise exfoliation to smooth skin texture and brighten skin. Vacuum pressure flushes skin surface and pores to deep clean, removing dirt, debris and bacteria to clean and clarify pores. Specialized Pro-infusion serums are delivered deep into the skin and address specific skin conditions, such as acne, hyper pigmentation, sun damage and aging. This infusion also provides deep hydration and plumps skin by increasing epidermal volume for up to 72 hour.